Erika Ortiz, widowed, is raising two teenage girls on her own, while also supporting her mother. The three generations of women all lived in a one-bedroom mobile home that needed major repairs. Even though Erika runs her own cleaning business, her annual income was only $17,000 – fifty percent of the Arizona median income – which made it difficult for her to make repairs on the mobile home. 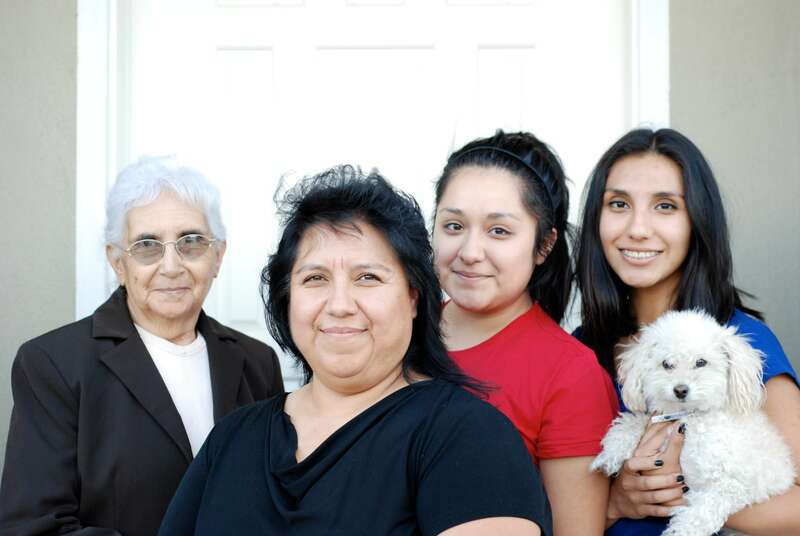 In 2011 Erika and her daughter, Esmeralda, enrolled into Primavera’s ‘Her Family’ program. Her Family is a financial education program geared to women heads-of-household and their daughters. The program includes class time and one-on-one financial counseling. In the homeownership portion of the class Erika learned more about credit, money management, predatory lending and the process of purchasing a loan to become homeowner. By lowering debt she increased her credit scores and was able to submit a loan application with Washington Federal Bank, obtaining a loan pre-approval in the amount of $60,000. By the winter of 2012 Erika was able to purchase a three-bedroom house. The spacious new home, built by Clayton Homes’ Schult Homes facility and installed by Primavera Foundation, includes a full kitchen, dining room and living room.